Big News – Kathleen Murphy Day in Ottawa! Back in October of 2018, I received an email from longtime friend of our family Barclay Frost. He is the Co-Chair of the Ottawa Sports Awards. The Ottawa Sports Awards is an annual banquet to highlight all of Ottawa’s top athletes for their outstanding achievements. I initially submitted a few applications for some of our divers here at ONDC but I received a second email from Dan Plouffe at Ottawa Sports Media who had another idea in mind. He asked me if I had planned to put in an application for Kathleen, my mom, for her longtime work in amateur sport in Ottawa. He mentioned one category to me which was the Lifetime Achievement Awards for Sports Volunteering. So naturally I gave it some thought and pulled all the information I had about my mom’s work in amateur sport and submitted an application later that day. Fast forward two months in early December, I receive an email back from Dan Plouffe to inform me that not only were the panel of executives at Ottawa Sports Awards blown away by her application, she was moved in the Category of the highest honor – the Mayor’s Cup. This category is given to the recipient who displays the greatest contribution to local amateur sport. Dan tells me I probably shouldn’t be telling you this but there is a good chance that Kathleen will receive the Lifetime Volunteer Award and be considered for next year’s Mayors Cup. At this point in time, I am freaking out! And I had not told Kathleen that I had even submitted her name into consideration! On behalf of the Ottawa Sports Awards committee, I would like to congratulate you on being chosen as our winner of the mayor’s trophy. This award is our highest honor and we consider you most deserving considering your contributions to sport in Ottawa. As our winner, you will be presented this trophy by the mayor himself. He will also give you a framed proclamation declaring Wed. Jan. 30th 2019 as Kathleen Murphy Day. Your son and nominator, Brennan, originally nominated you for our lifetime volunteer award but we are so impressed by you that we moved into the mayor’s trophy category where you were chosen as our winner. At this point, it was time to share the news with my mom. After reading the email she broke down in tears of joy and was absolutely overjoyed that I had even done something like that for her. She is never a person to boast about what she does voluntarily for sport on a daily basis but it was time for her to receive some recognition from the Ottawa Community and this was an excellent way to do it. Tonight is the Ottawa Sports Awards Banquet and “Kathleen Murphy Day” in Ottawa today. Mary and I will be attending in Kathleen’s place while she gets some hard earned rest and relaxation on her vacation in Hawaii. There will be a short clip of an interview with her and I that will be posted soon as well as pictures from the nights festivities. Below is the short speech they will give to all in attendance of her contributions to local amateur sport. Kathleen Murphy represented Canada at the 1976 Olympics in gymnastics at the age of 16. After her gymnastics retirement she continued her passion for amateur sport by volunteering her time in as many capacities as she could. She volunteered her time on the Ottawa Gymnastics Centre board of directors for over ten years, eight of which she served as the President of the club which is now one of the largest in the province. In 2008 she began to multitask her volunteering efforts and helped to found the Ottawa National Diving Club. 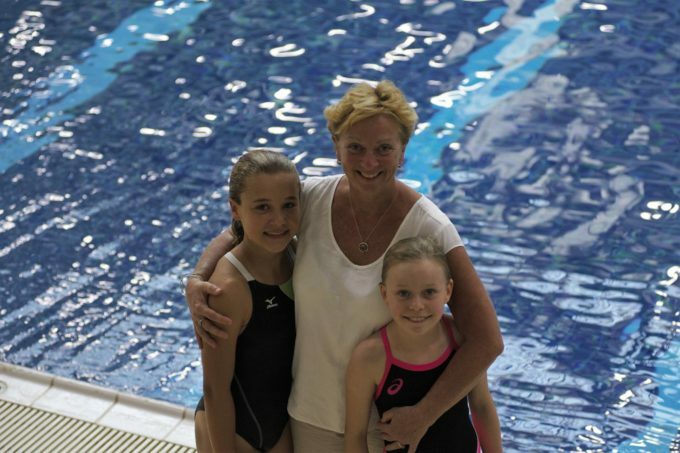 Beginning with only two divers and one coach, she has grown the club to over 250 members and 12 coaches. An NCCP Certified Comp-Intro Coach-Level 2, Kathleen continues to volunteer her time in a coaching and administrative capacity to this day. 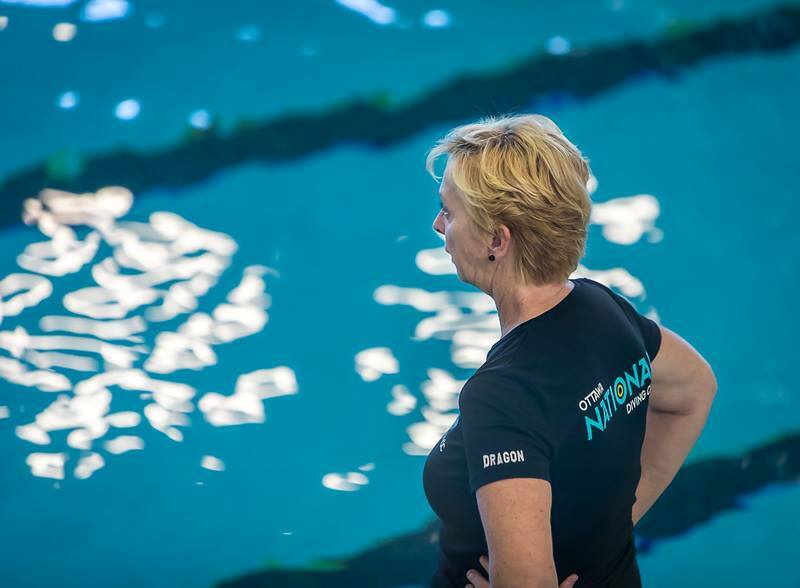 In 2017, Murphy was a representative for the 2021 Canada Games bid in Ottawa, and in 2018 she was named the Executive Director of Dive Ontario. A community builder and outstanding Ottawa sports representative, Kathleen Murphy will continue to look for new opportunities to bring amateur sport to the next level in Ottawa.